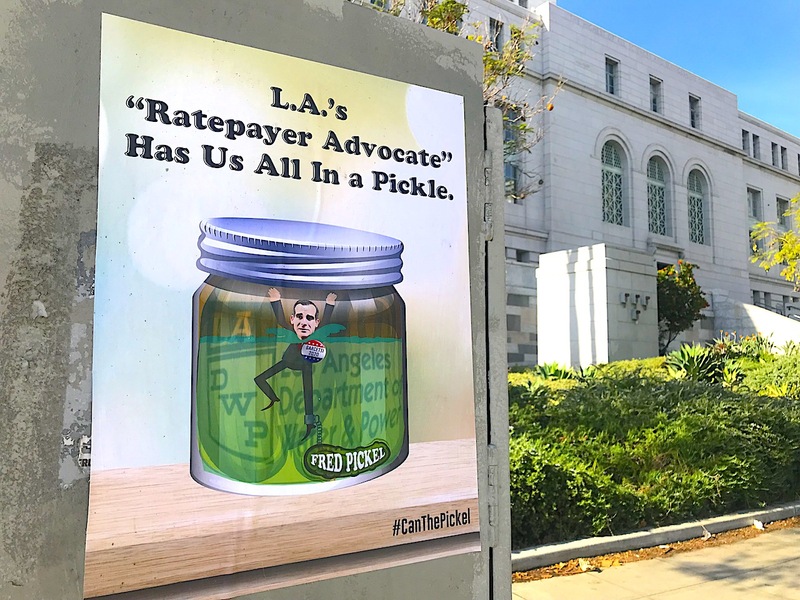 Los Angeles, CA – Consumer Watchdog called on Mayor Garcetti to support a new city council motion by council members Koretz and Bonnin requiring a job review for the DWP Ratepayer Advocate Fred Pickel before his rehiring to the $298,000 per year job heading the DWP’s Office of Public Accountability. Pickel has not had a job review in his 6 and-a-half years on the job. “You won the Mayor’s office claiming you would clean up DWP and the unholy grip its public employees’ union has had over it, including two nonprofits funded with ratepayer money,” the letter continued. “Not only have you allowed Brian d’Arcy and the IBEW Local 18 to extract rate hikes and pay raises unparalleled at any utility in America, but you have kept the public from having a voice in the process by refusing to give Angelenos a ratepayer advocate that stands up for them. “The search committee process for a new Ratepayer Advocate was fixed from beginning,” the letter continued. “Sources in City Hall confirmed your office instructed your appointees to overlook otherwise more qualified candidates to pick Fred Pickel once again because he is a rubber stamp on your own and DWP’s wishes. The former chair of the Assembly Utilities Committee, Mike Gatto, did not even receive a phone call from the search committee. Another candidate with significant experience at the Public Utilities Commission’s Ratepayer Advocate Office was passed over. “The price of Pickel’s unwillingness to advocate for ratepayers is billions of dollars and you are complicit if you rehire Mr. Pickel without a comprehensive review of his performance…..Mr. Mayor, you should order such a review if you have any designs on convincing Americans that you are for public accountability. Consumer Watchdog is a nonprofit nonpartisan public interest group with offices in Los Angeles and Washington, DC. It has been fighting crooked corporations and corrupt government officials since 1985.